Our recent acquisition of PeopleFluent has had a good reception from the market and industry analysts on both sides of the Atlantic. As we can’t talk to everyone personally, we thought it would be a good idea to put pen to paper to outline our thinking in buying a business that doubles the size of LTG and gives us much-desired scale in the US. They were originally split to bring focus to an issue characterised by Steven Hankin, of management consultants McKinsey & Company, as the ‘war for talent’. As organisations become more sophisticated, we’re now seeing these separated departments becoming unified – or, at the very least, working closely. From a systems perspective – and as organisations tackle digital transformation in all sectors – it makes no sense for talent and learning to be divided. 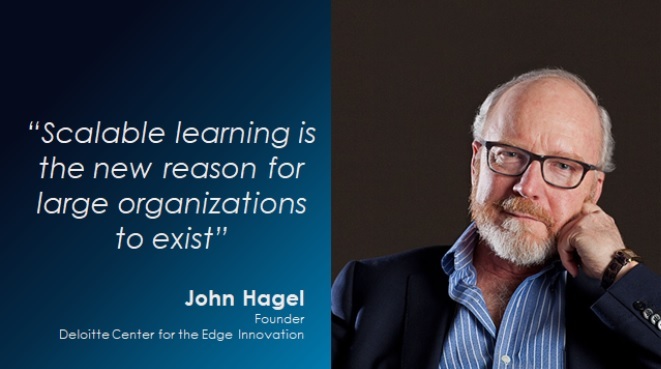 As entrepreneurs running tech learning businesses over the last 25 years, we understand that digital transformation requires a complete shift in our people’s skills, attitudes and behaviour on a permanent and constantly accelerating basis. We believe this will happen (and, in many cases, is already underway) at huge scale. An example of this is automotive organisations shifting from ‘car manufacturers’ to ‘technology companies providing mobility’. Or oil and gas companies moving to become eco-providers of energy. Or central government trying its hardest to ‘go digital’ across all services. According to Gartner, by 2022 “…nearly 80% of organizational skills will have to be reprioritized or revisited because of digital business transformation”. We will help put the right people in the right job and then help them be the best they can be… and will measure learning investment against business impact so our clients know where to focus their spend. From our perspective, this link back to business strategy is crucial. Large organisations, like other businesses, need to be able to flex in real-time to meet market demand. This is not possible without the use of technology. Flexing people and teams, enabling what they need to learn and driving performance are key to success in a business world that is simultaneously moving faster and becoming more complex. This needs a constant line of sight back to what the business is trying to achieve. When that is shifting, often in quite subtle ways, keeping a workforce up to speed and appropriately led becomes exponentially more complex.Navigating change means thinking digitally and allowing all of these processes to become driven and enabled by data. As you may have seen, across LTG and especially LEO Learning, we have been championing thinking and tools to enable ‘measuring the business impact of learning’ as a key strategic development for organisations. Organisations need this in order to see where to focus L&D spend (and slowly but surely move towards predictive analytics so that people can be accurately reskilled in preparation for the future). In all honesty, we know that no one has time for learning and development these days. But unless we make time, individuals and organisations will fall behind. We really need data to tell us what to learn so we are sure it will give us a measurable result. And we need to learn while we work, not as an adjunct. Please note that this is not to say we suddenly expect, as a group, to be providing all these end-to-end services all at once. The point – at the heart of our strategy – is the ability to be able to bring our clients the right capability and capacity to achieve their current goals at exactly the right time. Most organisations, and each of their internal departments, are at different levels of sophistication. The type of service or product proposed needs to be carefully planned to meet their specific needs. The first thing we would cite is the excellent Productivity Platform that PeopleFluent has created. This seamlessly joins a number of significant systems and services, from talent acquisition and talent management to engagement, in easy-to-use ways. We note that 100% of organisations which have taken Productivity Platform, which was released just over a year ago, have renewed their licences – often on a multi-year basis. To meet the growing trend of contingent workforces, the Vendor Management System business provides an interesting USP, as recognised by key industry analysts. As contingent workforces are becoming a more significant trend, so we believe they will need more training and risk management. The provision of good onboarding and effective compliance training, often linked to regulators’ guidelines, becomes almost as important to contingent workforces as it does to permanent ones. We have been very interested to see how PeopleFluent advises on and enables Diversity and Inclusion (D&I). This is a significant area for US business because of the requirement to report on Affirmative Action requirements, but we see D&I as becoming more and more important across European business as well. Those looking at the gender pay gap legislation in the UK will know what we mean. PeopleFluent’s technology enables global organisations to see into their global recruitment in real-time to ensure they bring on a balanced workforce. When you are recruiting at scale, there is no other way to ensure that this is monitored – using good technology is the only way to achieve this when it’s being done at scale. From an LTG perspective, we see recruitment as a key strategic enabler for large organisations.Threading onboarding services through this is important. We know that good induction is closely linked to performance and retention. We are doing more and more pre-onboarding (i.e. training before the first day of work) and consulting, reaching right back to the ‘attract’ stage. The result is learning being developed with potential recruits as the target audience. There are many traditional industries that can provide great careers who need to do better at telling their future workforce what they can offer. Digital learning is a great way to do this. Think of this in the context of a leadership development programme where you want participants to upload their own presentations as part of the programme. This relates to one section of Productivity Platform, which enables the entire management of leadership development programmes, including mentoring and coaching. As you watch the video, you are able to click on the timeline and ask a question. The system will automatically send an email to the person who created the video and this will be answered in the same context – within the video timeline. Collaborative conversations can then take place around particular points. We see huge potential for scaling the use of video to rapidly enhance the collective brain power of the organisation. We also enjoyed being introduced to OrgPublisher, the organisational design software that enables swift updating of organisational structures as well as planning for who needs to learn what. We see potential for this from a compliance perspective. 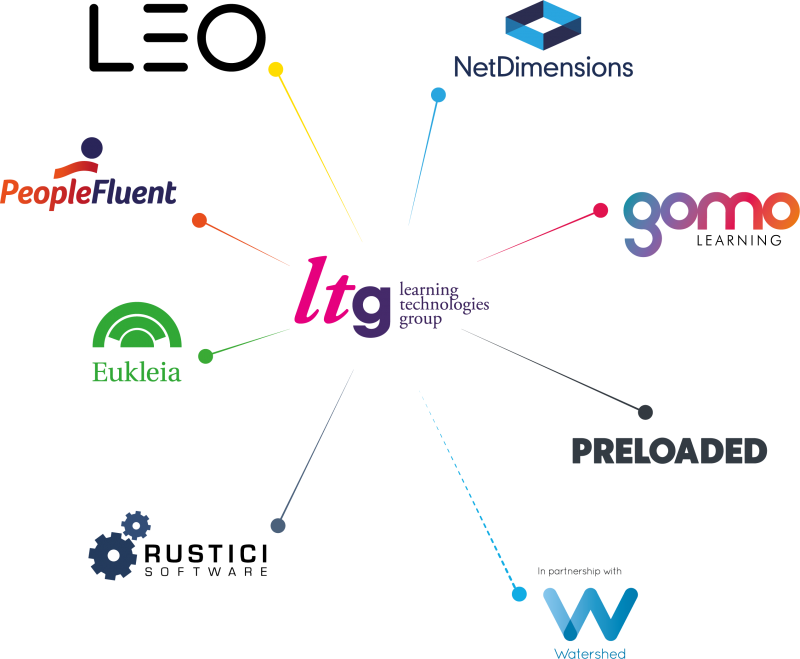 However, we do recognise that a key aspect will be in how we bring together the various extended technologies and services across LTG for both client and user benefit alongside PeopleFluent. Tim will become the Chief Innovation & Product Officer (CIPO) for LTG from 1 June 2018. Those in the industry who know Tim will recognise a technology leader of the highest quality, respected on both sides of the Atlantic and probably further afield too. Alongside Mike Rustici, Tim is both a ‘king of interoperability’ (making things work together) and a consummate technologist. We will be combining Tim’s expertise with the great work by the PeopleFluent Team on the Productivity Platform. This will secure the core combination of talent, performance and learning. Tim’s world-renowned skill is interoperability, which we see as crucial for both short- and long-term success. You will recognise that this article is being released on the first day of LTG’s ownership of PeopleFluent, so we hope you will forgive us if we have missed anything significant. We almost certainly have, and we look forward to discovering more over the coming months. However, we hope we have shed some light on the thinking behind the acquisition – and, like us, you share some of our excitement about it.